Here at the jewellery school we pride ourselves in our open and friendly workshop. We teach classes for complete beginners to advanced jewellers. Education is at our core, we aim to teach traditional and contemporary skills from the absolute beginners to the established jeweller in our fully equipped jewellery school. 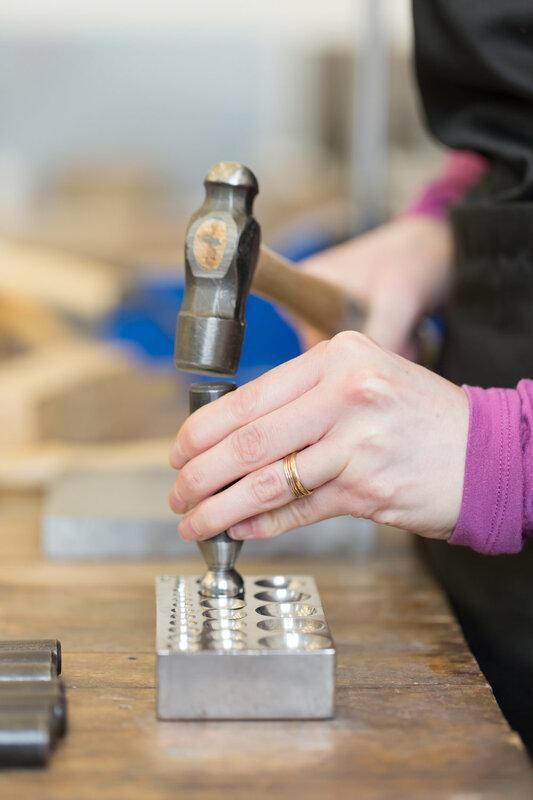 From 2 hour taster sessions, making your own wedding rings, to 8 week blocks learning the basics of jewellery making, to weekend courses on stone setting, wax carving and box hinges. We have a class for everyone. Our membership model allows jewellers access to a bench, equipment and all the necessary tools. You pay for a yearly membership and then pay as go. Our Master Goldsmith has benefitted from many years of training. We offer 1-2-1 training for corporate businesses and independent jewellers that can be tailored to the individual.